Running out of toilet paper in a bathroom is something none of us wants to have happen. But where do those spare rolls get stored? Designers have provided end users with lots of options to fit their various needs. 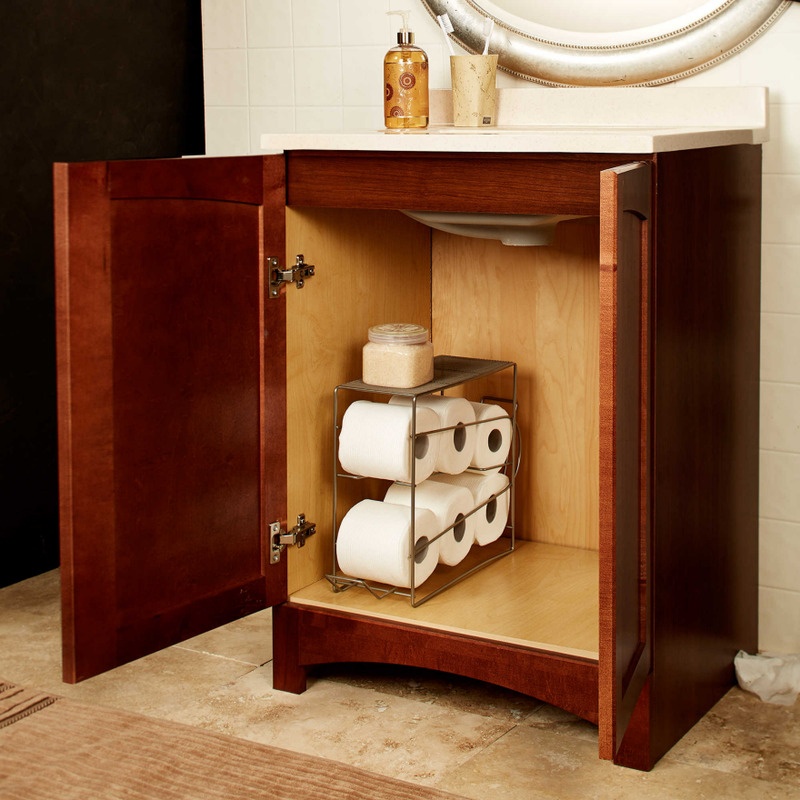 TP Dispenser for inside cabinets. Some people like to keep as much as possible behind closed doors, and that would certainly extend to toilet paper. (Pets and small children can make a mess with toilet paper, too—another reason to keep spare rolls in a cabinet they can't get into.) 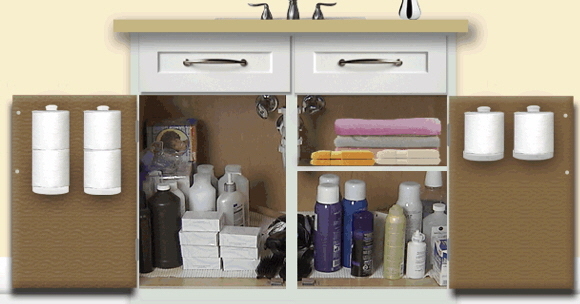 This TP dispenser won't work in (most) cabinets with shelves, but it makes good use of space in other cabinets. And the dispenser does accommodate the jumbo rolls that are popular with many end users now. 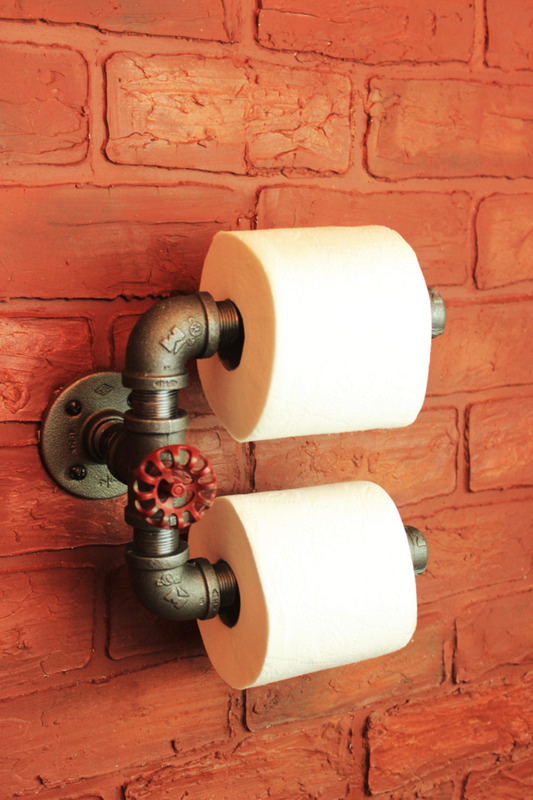 For those who don't have a lot of cabinet space, this spare toilet paper holder has some useful design features. It's intended to be placed near the top of a cabinet door, since the top area in a cabinet is often unused space; the TP rolls are less likely to hit anything when the doors are closed. The smaller one-roll size works well even if there's a shelf. And the higher placement would also help end users who have trouble bending over. 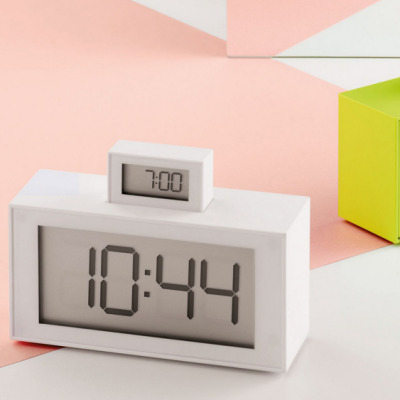 It mounts securely with a peel-and-stick adhesive from 3M—so the end user better be careful about the placement, since it's not something that can be moved around. 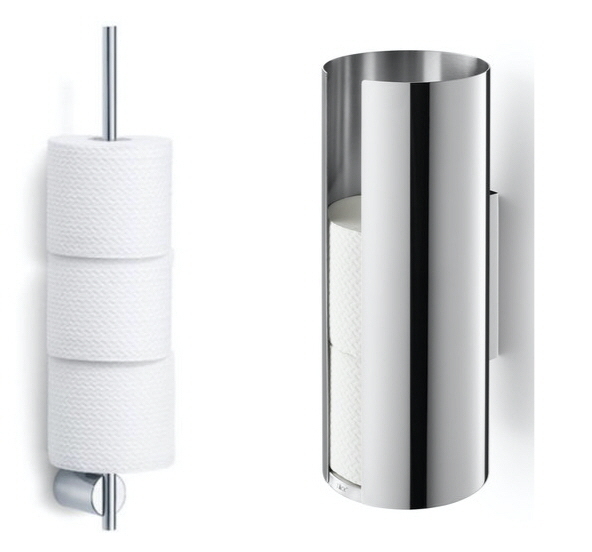 End users with sufficient floor space could use a canister-style toilet paper holder, such as the Birillo from Alessi. Purchasers say this one is just barely wide enough for jumbo rolls. Some end users might not like having the TP rolls sticking out of the top like that and would choose a canister with a different height. Others will prefer a canister with a lid. End users who are concerned about getting their double-size rolls in and out of a canister might appreciate a design like the LooTable, designed by Richard Hutten. 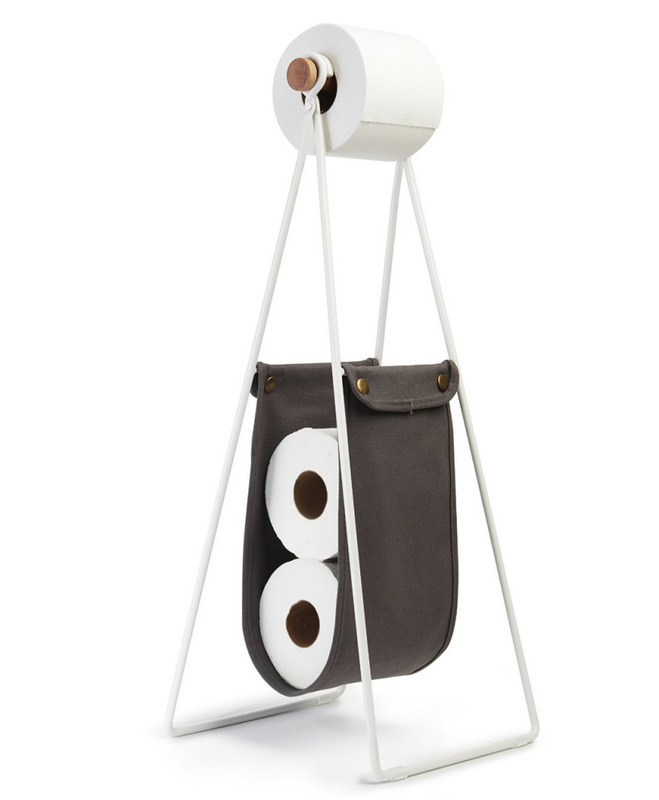 Umbra's Slinger is another toilet paper holder that will accommodate any size roll—and if the end user decides not to use it for spares, it can be used for something like magazines. 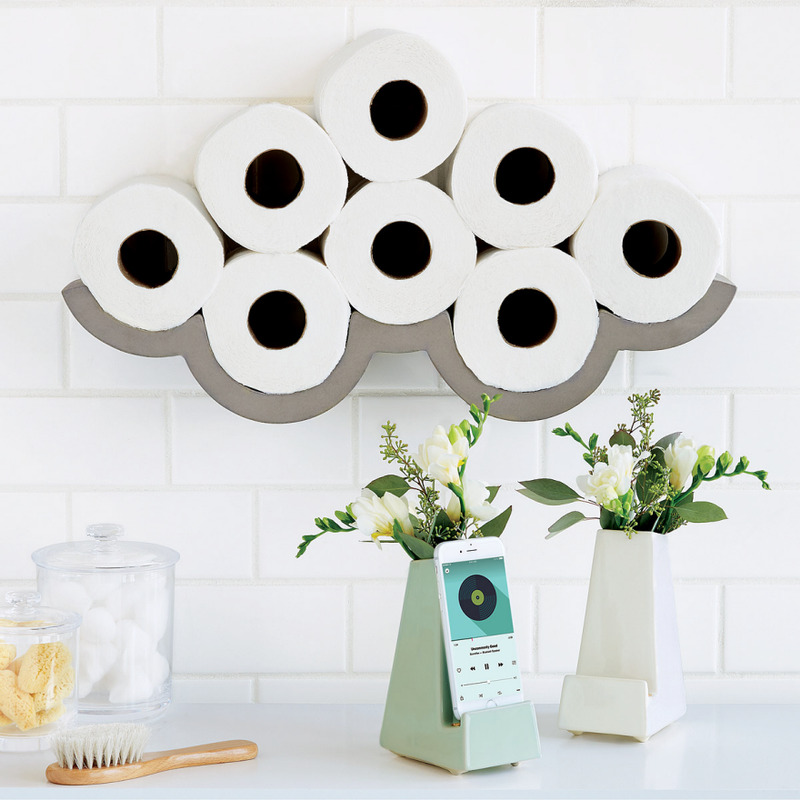 The Slinger would be good for end users whose homes have TP holders in inconvenient places (as all too many do), since it holds the roll in use as well as spares. End users without floor space (or those with either small children or pets) might prefer wall-mounted designs. Those end users who just need one spare roll handy could use a double paper toilet holder; this design comes from Ferraro Art Design. The holder could also be oriented vertically, if that fits the end user's space better. This design comes from Hanor Manor. 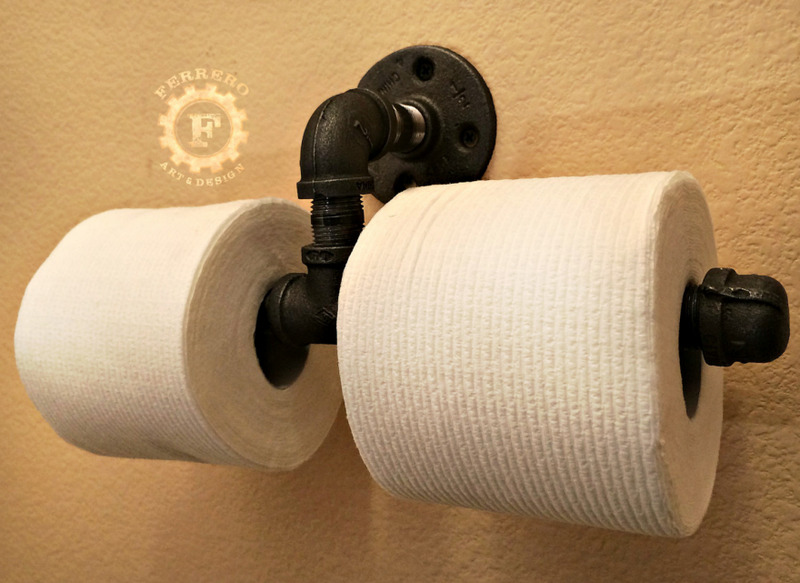 In either case, the one problem I can see is if bathroom users start using both rolls at the same time rather than treating one as a spare—which might mean both rolls run out close to the same time. The Paper Boy from Martina Carpelan has numbered rolls—but those numbers are covered up when the Paper Boy is full loaded. 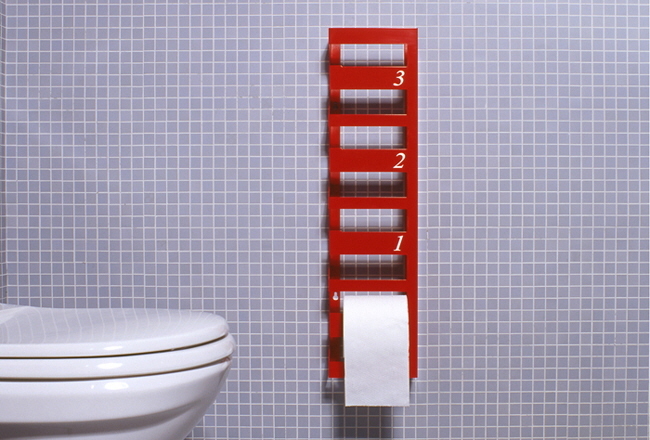 Still, it's an easy way to store three spare rolls, as each just slips over a numbered bar. 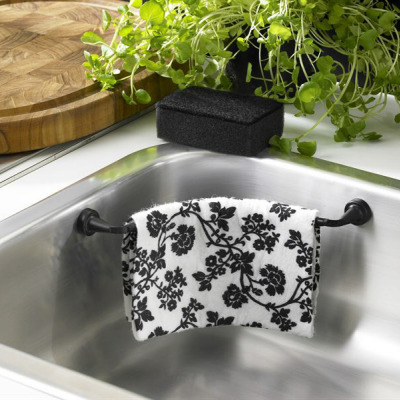 Freestanding TP holder designs can also be replicated in wall-mounted products, as with these holders from Blomus and Zack. 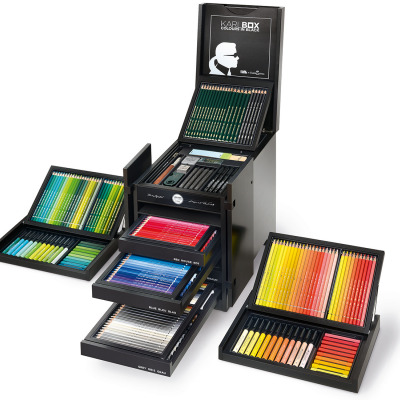 But some designers have created more unusual products. 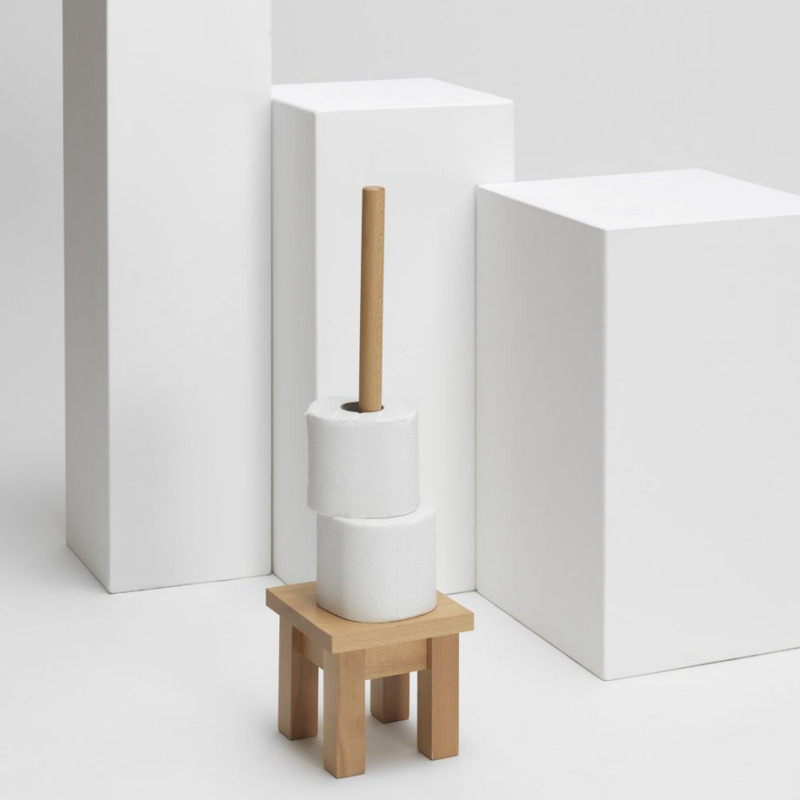 Bertrand Jayr of Lyon Baton created the Cloud Toilet Paper Holder, which is made of concrete. The shape is perfect for holding TP rolls securely. (But the jumbo size rolls won't fit, one purchaser reports.) Of course, it's very heavy and will need to be well secured to the wall, which may be challenging for some end users. 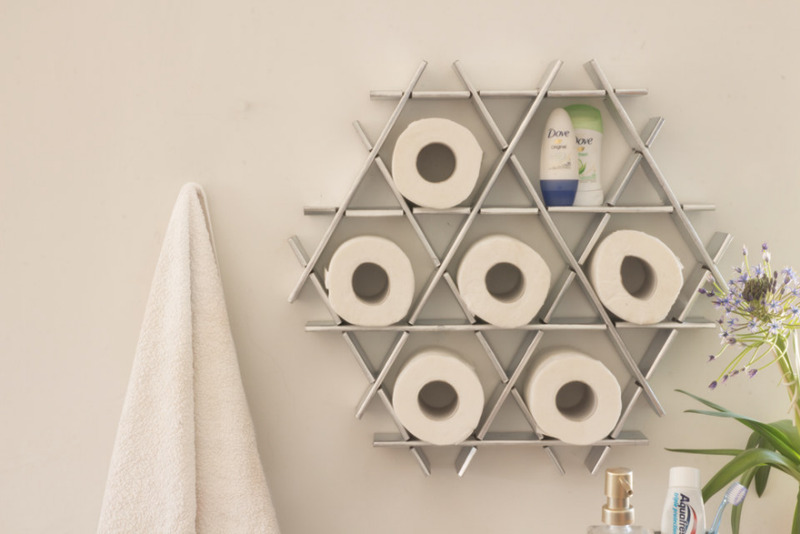 Ruche Shelving has a unit which fits toilet paper rolls quite well. It's made from recycled cardboard, which will appeal to many environmentally conscious buyers. (There are also aluminum versions.) This small size will hold 22 pounds, so storing some TP in it won't be a problem. 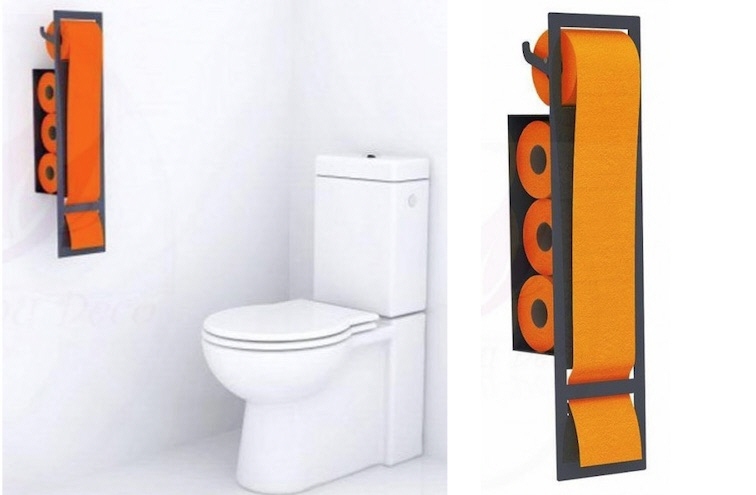 The one problem would be using a cardboard item in a bathroom, since the shelf shouldn't get wet; wall-mounting the unit should help prevent mishaps. 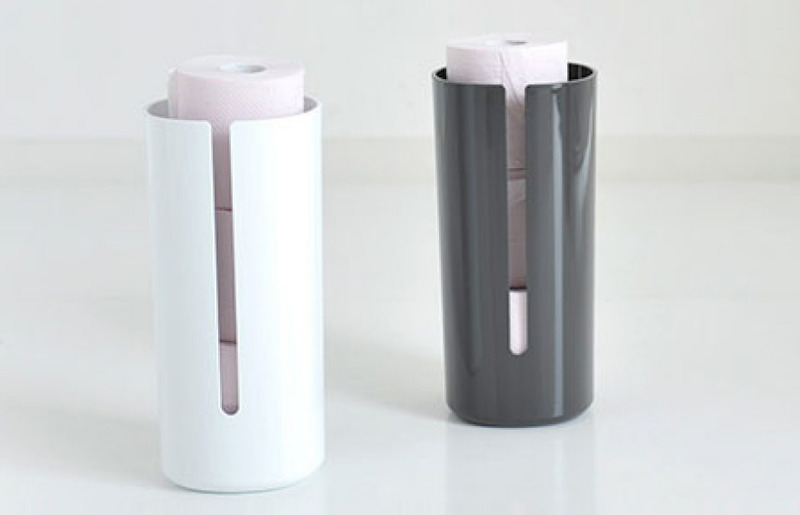 The PatriQ Junior from Marileme uses the current toilet paper roll to hide the box where three spare rolls are stored. This would look much less cool with normal toilet paper, so anyone using this would probably want to splurge on upgraded TP. And end users with playful cats would want to be careful about the positioning, because that sure looks like an intriguing cat toy.